Glass bottle with cap & dropper of 30 ml. 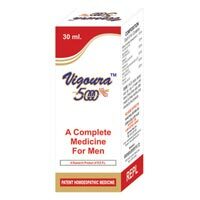 Vigoura - 5X offered by us is Nervine Tonic that is ideal for for men belonging to the age group of 50 and above. 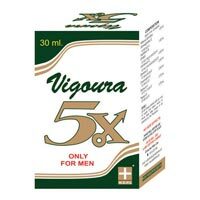 The Vigoura - 5X is manufactured using pure quality ingredients. 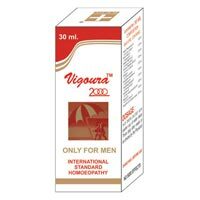 We provide Vigoura â�� 5000, a Nervine Tonic that is packed in glass bottle containing 30 ml. of oil. Besides, the glass bottle of Vigoura â�� 5000 is available with a cap & dropper. The Nervine Tonic namely Vigoura â�� 2000 is recommended to be used by the men belonging to the age group of 18 to 25 yrs. The Vigoura â�� 2000 offered by us can be aviled at nominal prices. 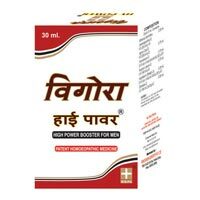 The Vigoura Hy Power provided by us is the Nervine Tonic that is used by the men from 40 to 50 yrs of age group. 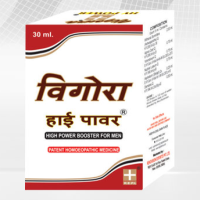 The Vigoura Hy Power that we present is pure as well as highly effective in nature.